After a farewell meal at the best fish restaurant in the world in Isafjordur, we will cast off for a first leg to sail from Iceland to Svalbard. If possible, we will rub shoulders with the ice edge. There is opportunity of a stopover on Jan Mayen, 'the most stormy island in the Northern hemisphere' and arguably one of the most exotic, on our way during the more than 1200 miles crossing. The 2018 agenda revolves around the PolarQuest 2018 project in collaboration with the PolarQuest association. During an attempt to circumnavigate the archipelago during the first three week of August, we will follow the tracks of the Italian airship lost in 1928 off the N-E territories. Different scientific projects will accompany these explorations. 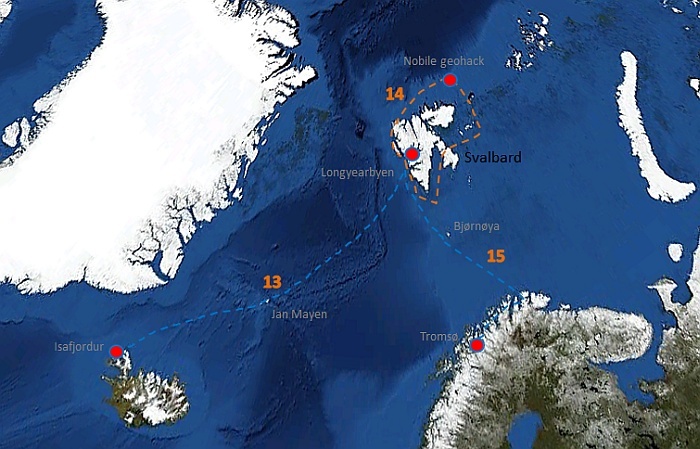 After a final incursion into the alpine and glacial fjords of Spitsbergen, the third leg will take us to the North Cape, the summit of Europe, after a stop at Bear Island and the crossing of the Barents Sea. 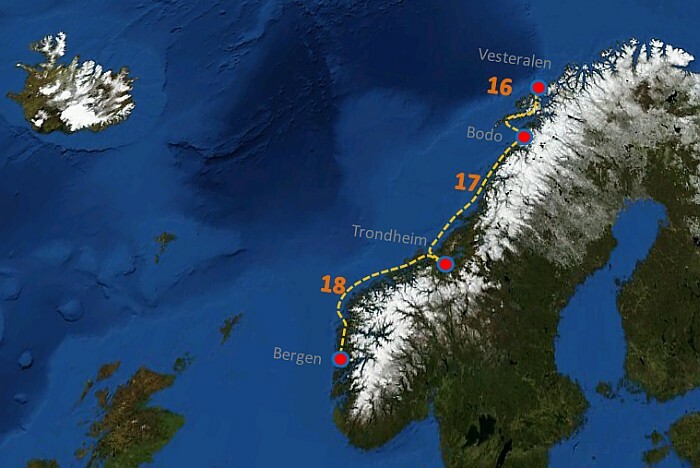 This will be followed by sheltered coastal navigation along one of the most beautiful coasts of Norway, in the possible light of the first aurora borealis. The route has a total distance of 1650 nautical miles. 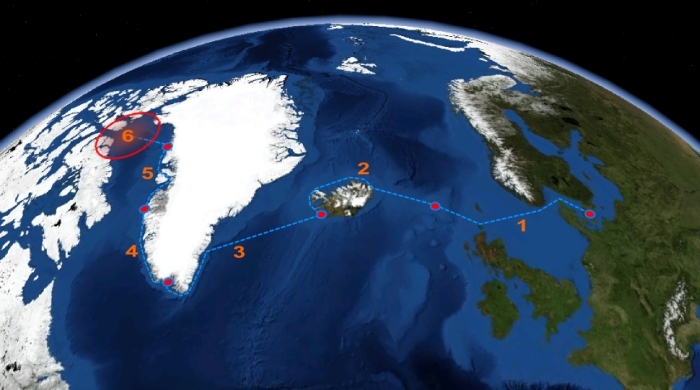 We will start in Maniitsoq on the West coast of Greenland from where we will sail south via Prins Christian Sund to the East-coast, north end eventually set over to Iceland. The voyage consists of three ~two weeks legs, depending on distances, conditions (weather, ice, daylight hours) and drop points that can be easily reached by plane. 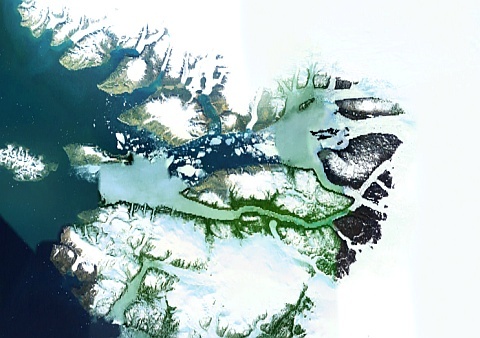 A five days stop in the Tasiilaq region will allow us to document ongoing scientific work. 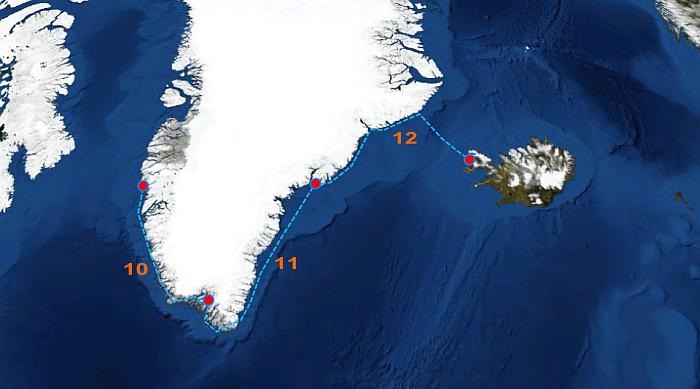 AGENDA - Expedition "Nanuq 2015-2016"
The route has a total distance of 1600 nautical miles. 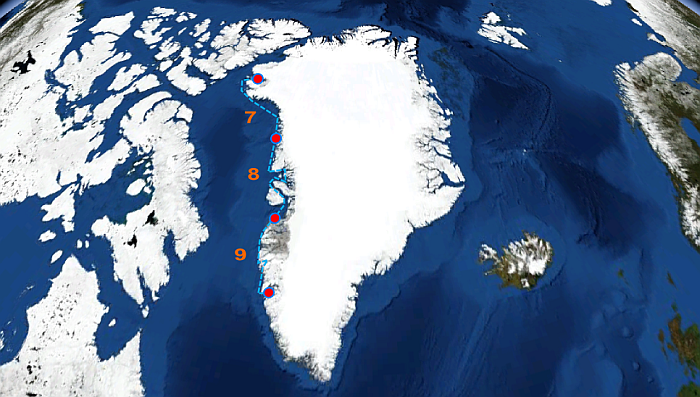 We will start in the high arctic region of N-W Greenland from where we will sail south via Melville Bay to the impressive W-coast, the alpine Upernavik and Ummanaq districts and Disco Bay renown for its huge icebergs. After a short stop in Aasiaat we will head further south following the sheltered inshore route to visit the alpine fjord region around Maniitsoq and eventually reach Nuuk, the capital. Relatively short distances of approx. 50 nautical miles per day allow plenty of time for exploration on land: hiking, mountain climbing, observation. The route has a total distance of 4500 nautical miles (one way). We will sail from warm and densely populated Scandinavia via Iceland to snow and ice-covered Greenland, the green (and fairly warm) West-coast and up to the arctic north in the Qaanaaq region. The voyage is devided into six legs of 9-16 days depending on the distances, conditions (weather, ice, daylight hours) and drop points that can be easily reached by plane. During autumn, we will set up the winter camp : the boat must be prepared, windmills set up and measuring instruments installed. This will be tough work with daylight becoming shorter each day and the first snow-falls and likely storms in September. 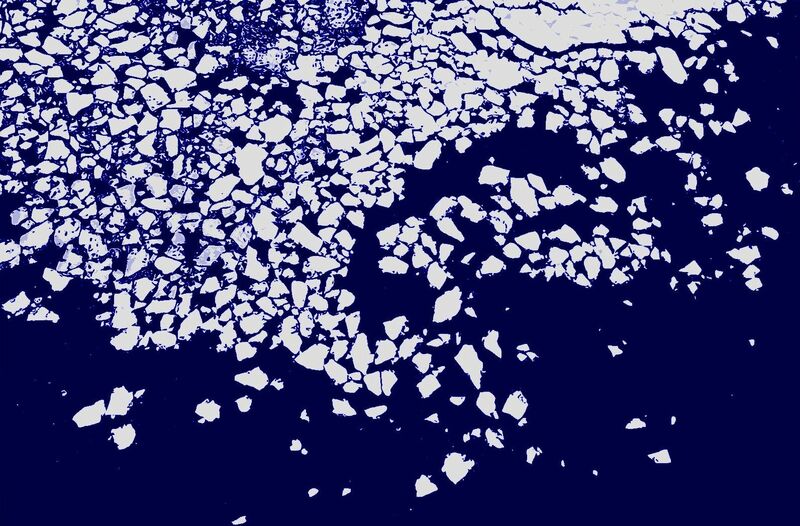 The summer crew will quit the boat when the iceshelf has formed ... by the end of October.